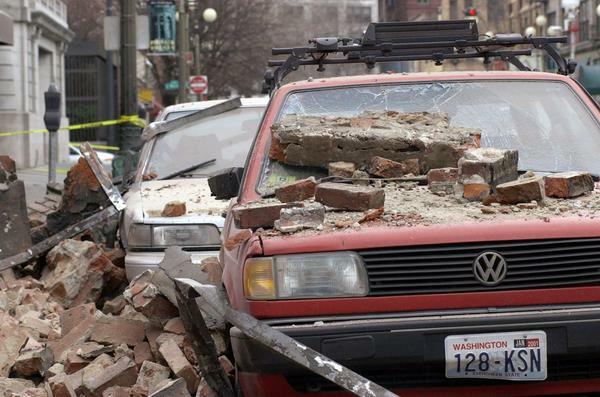 There were few major quakes in the Pacific Northwest over the last decade. Is that… normal? 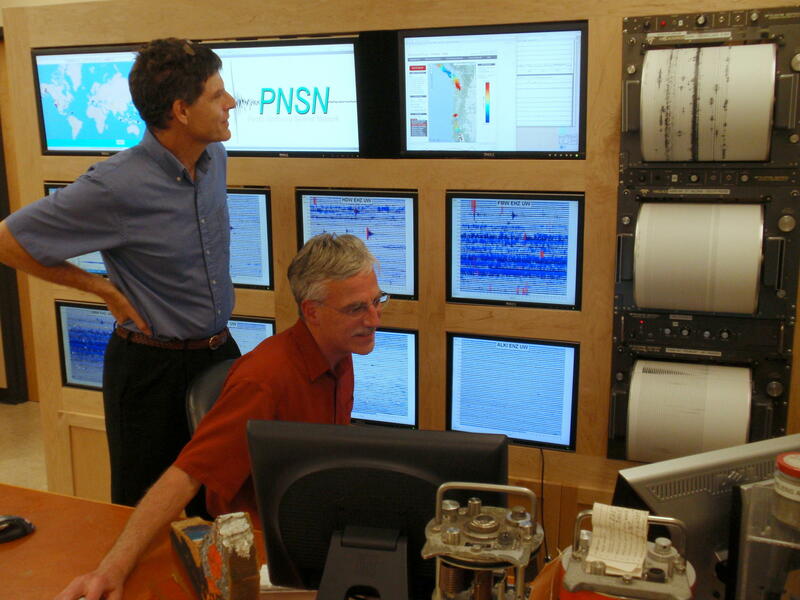 The joke around the PNSN office is that recently departed director John Vidale (left) did a good job suppressing earthquakes for the past decade. Most people in the Pacific Northwest know we live in earthquake country. A new analysis published this week, however, notes that major quakes in the region have gone on a puzzling hiatus over the last decade. Former Pacific Northwest Seismic Network director Steve Malone analyzed the number of earthquakes over the past five decades in Washington state and Oregon. He noticed an unmistakable drop in quakes greater than magnitude 4 in the most recent decade — 2009 to present — compared to all the prior ones. "The largest event in the past decade was also smaller than the largest event in any previous decade," wrote Malone in the journal Seismological Research Letters. "It seems inescapable that strong seismicity has taken a break." Oregon and Washington together experienced 15 to 17 earthquakes with magnitudes above 4.0 per decade between 1969-1999. The next decade, 1999-2009, the number of bigger quakes dropped to 11 and then during the most recent decade it tailed off to eight. Malone re-ran his analysis using the much larger catalog of all quakes above magnitude 2 and noted that the abundance of low-level temblors hewed closer to a consistent level. Malone did not have a neat explanation for what the cause for a regionwide earthquake lull might be. But seismologists are coming around to accepting there are non-random cycles of earthquakes, said Harold Tobin, the current director of the Northwest seismometer network based at the University of Washington. "The essential question is, does that mean we're in a quiet period now and what was before that was normal?" Tobin said in an interview Friday. "Or have we returned to normal after a decade or so of an unusually large numbers of earthquakes?" Tobin said the length of time for which good records exist is not long enough, geologically speaking, to determine what is normal. Malone's analysis was published online Wedenesday under the catchy title, "An Ominous(?) Quiet in the Pacific Northwest." The analysis covers crustal earthquakes on land and in the nearshore of the Pacific Northwest region. It does not address the feared Cascadia subduction zone megaquake, aka “The Big One,” which reoccurs at long intervals. The last rupture of the offshore Cascadia fault happened in the year 1700. Malone also excluded from his primary analysis quakes in a narrow band of southern Oregon bordering California because they tie into different geologic basins from the Pacific Northwest. He also excluded all quakes under volcanically-active Mount St. Helens. In the absence of certainty about the nature and extent of an earthquake lull, Tobin said the best thing Northwest residents can do is just be prepared. "Just because it's been quiet now doesn't mean we should be worried that somehow something is about to be unleashed," Tobin said. "But on the other hand, I want to say that since it has been quiet people might be a little complacent. They should remember that the Pacific Northwest has earthquakes and has earthquakes that sometimes cause some damage. We want to be vigilent."